Today, just a few months after Sony announced the PlayStation 4, Microsoft has debuted their own next generation gaming console, the Xbox One. As expected, it is upgraded with more powerful processing hardware, an upgraded Kinect motion detector that will now come standard with every unit and new controllers that are wireless. What stands out is the new technology aimed at making the Xbox the entertainment hub of your living room. 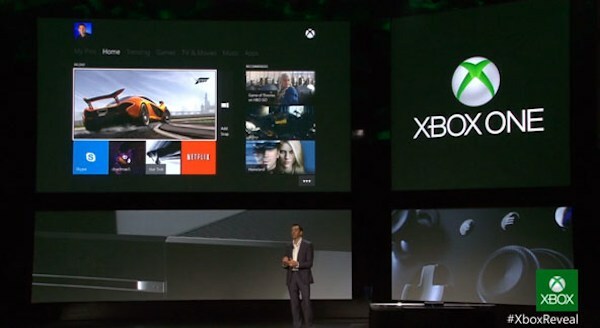 The Xbox One eliminates the remote control by responding to voice commands. You can turn on the Xbox, change channels, listen to music, surf the Internet, play games and switch between all these activities by telling the Xbox One what you want. Voice commands will also allow you to display the channel lineup provided by your cable or satellite dish provider as well as bring up a list of your favorited TV series. This has already raised privacy concerns considering the Xbox One needs to be always on to be able to power up via voice. Combine that with a state-of-the-art Kinect sensor that is sophisticated enough to detect your heartbeat and a constant internet connection and Microsoft has a recipe for disaster unless they can ally fears that the unit isn't transmitting personal information back to them or, worse, third parties. The Xbox One also provides seamless integration with Microsoft's second-screen technology, Smartglass, the app allows you to control the Xbox from your smartphone or tablet. For example, if you are watching a Star Trek movie on the Xbox, you can then use the Smartglass app to pull up a trailer for the new Star Trek movie or buy tickets to a showing. Skype is another big selling point that Microsoft focused on in their press conference. Through the Kinect's 1080HD camera, group Skype calls can be made right from your couch using, of course, voice activation. As for gaming, Xbox One games will not run on discs as they do for the Xbox 360. When you buy a game disc, you will use it to load the game on to the internal hard drive via the Blu-ray disc reader and then not use the disc again. Each game has to be registered to you. This brings up concerns that the game disc cannot be sold as used later on, a common practice with Xbox 360 games, but Microsoft has said that used games may be able to be played if the user pays a fee to register it on their Xbox. No word on the cost of that registration. 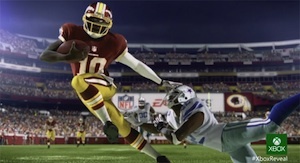 Many new games were announced today to take advantage of the better processing power including popular first person shooter, sports and car racing titles. Players will be able to record their gameplay directly to the internal hard drive, edit it and upload it to the cloud to share with their friends. New games for the Xbox One will not be playable on the Xbox 360 unless you buy a separate Xbox 360 version of it. For those who currently have an Xbox 360, the good news is that Microsoft is still supporting it. They promised many new games for it will be announced at the annual E3 gaming convention next month in Los Angeles. 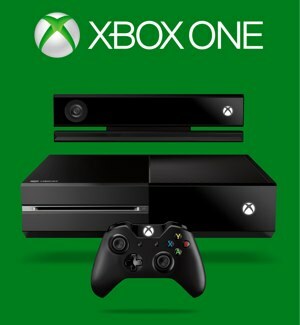 Internal specs of the Xbox One are: 8GB RAM, 500GB hard drive, Blu-ray drive, HDMI in and out and a USB 3.0 port. It is scheduled to launch later this year. No pricing has been announced.